Wind can run away with your heat leaving you cold and uncomfortable. 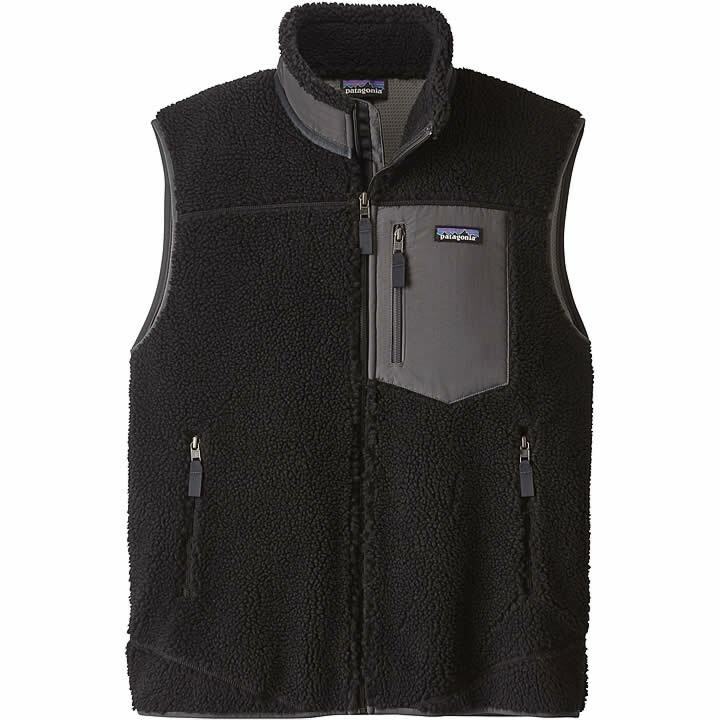 Patagonia's versatile, wind-blocking Classic Retro-X® Vest provides steadfast warmth for your core, even in windy conditions. It features a soft windproof membrane bonded between a thick and fuzzy outer layer of ¼"-pile sherpa fleece and an interior moisture-wicking, highly air-permeable mesh lining with Polygiene® permanent odor control. The resulting fabric sandwich traps heat, blocks wind and feels smooth and comfortable against the skin. The zippered chest pocket, collar and wind flap are made of 100% nylon with a weather-shedding DWR (durable water repellent) finish. The zippered side handwarmer pockets have a brushed-polyester mesh lining for extra warmth and a smooth feel. Hip length.